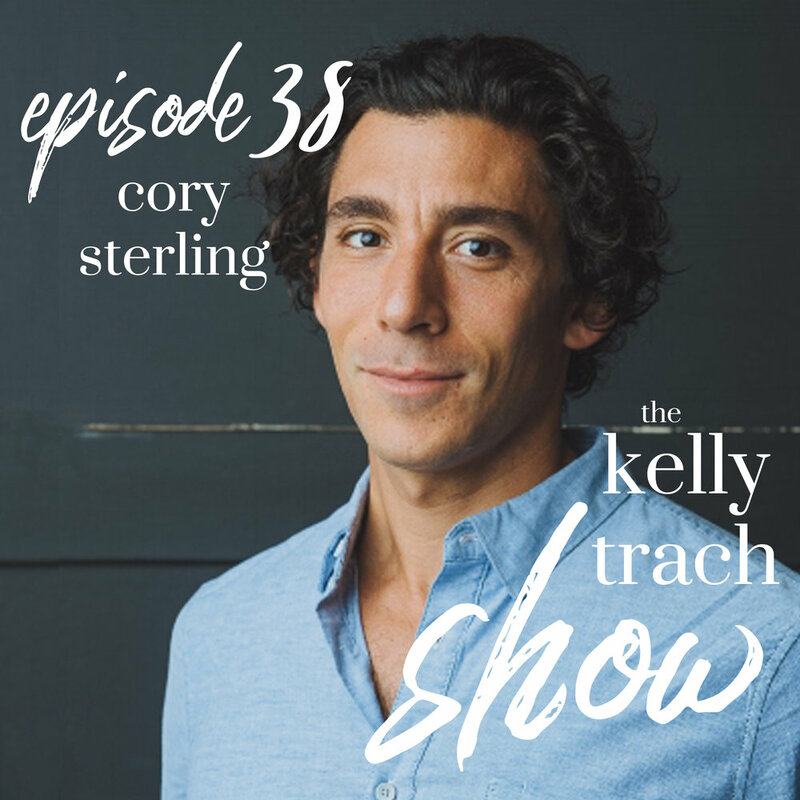 Cory Sterling is one of the coolest people I know - he's an entrepreneurial nomad, has traveled all over the globe, used to teach one of my favorite spin classes in town, and he's the founder of the online law firm Conscious Counsel. When I get email auto-reminders from him, they usually say things like "I'm hiking Mount Kilimanjaro" or "I'm pursuing my dream of reaching Everest Base Camp." Or, "I'm doing a 10-day silent Vipassana meditation." (Best out-of-office emails ever). Cory is also incredibly spiritual and has a presence like no other. You'll hear about his philosophies on life and his words are such a treat - especially because words like trust, faith, allowing, and honoring the journey can feel challenging at times. This episode is jam-packed with rich words of inspiration on spirituality, evolution, consciousness, and what it means to live a good life. Cory gives us his input on how to strengthen our faith, how to take the leap, and develop trust in our life. Plus, he just finished living in an ashram in India for a month and we talk about the a-ha moments from that experience. Cory is truly living the Liz-Gilbert-meets-Tim-Ferriss lifestyle design and I am so honored to have him as my friend and an all-star lawyer. P.S. I owe Cory huge thanks for doing all the backend legal work for kellytrach.com and all the love and devotion that went into setting up Your Best Life. If you're looking for a lawyer, I would highly, highly recommend Cory. (He also writes the kindest emails). Cory Sterling is the founder of Conscious Counsel. In the past year, Cory has traveled the world, started an online law firm, founded a yoga festival, climbed Kilimanjaro and went to Everest Base Camp, and lived in an Ashram in India for a month. He has tried to do all of these things with love, a smile, and radiant positive energy. He's grateful for being alive and work tirelessly to enjoy every day of this gift we call 'life'. - How Cory makes big choice and what his heart-led decision making process looks like. (+ How to can tune inwards for guidance when you're deciding to take the leap). - How to strengthen your belief, faith, and to how to go for it even if you have no proof or guarantees in front of you. (+ How to have no expectations). - That when it comes to faith, you can't think about it too much. Rather, it's something you try and experiment with and physically do without trying to mentally process it. - That everything requires perspective and you interpret everything through your chosen interpretation. - About what living in an ashram was truly like, the daily activities in the ashram, and about the mantras and prayers Cory used. (+ How mantras are used to enable you to stop thinking). - How to change your habits by changing your environment. - How we make our lives more complicated than they actually are and what the West can learn from the East. - How critical it is to deeply know and understand yourself. In The Endo Toolkit, a new tool is released weekly on truly understanding the disease, good food, movement, natural products, and alternative medicine and it's taught by Jessica Murnane. If you sign up with my link, I'm also gifting you my entire e-book and e-course bundle package for free because I want you to truly have every strategy when it comes to managing your chronic illness. So, email your receipt to kelly (at) kellytrach.com for your bonus goodies!